Correct response: What is Stuart? Bonnie Prince Charlie was the grandson of King James II of England (King James VII of Scotland) who had been deposed in the Glorious Revolution of 1688. He attempted, in the Jacobite uprising of 1745, to reclaim the English throne for his father, but failed. The failure of the uprising essentially ended support and backing of the Stuart cause to regain the throne of England. An average of 3.1476 5+-time champions (standard deviation 1.487). An average of 5.7072 4+-time champions (standard deviation 1.8393). An early cutoff took place 1.646% of the time (or a 5-game winner will be left out). Jonathan Lindeen qualified 4.011% of the time. Eric R. Backes qualified 92.495% of the time. 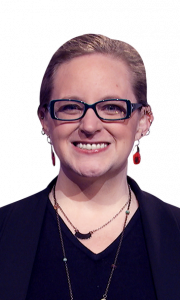 Anneke Garcia qualified 79.707% of the time. Lindsey Shultz qualified 57.235% of the time. Dave Leffler qualified 29.829% of the time. Jonathan Dinerstein qualified 10.150% of the time. Alex Schmidt qualified 1.667% of the time. 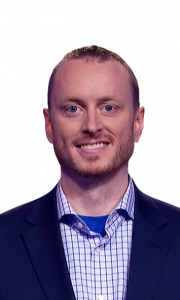 It has now been 88 games since we’ve had a 5-time champion on the show. If the next Tournament of Champions is held in February 2020 and not November 2019, Lindsey’s projected qualification percentage is 7.599%. Stats after 15 clues: Karen 5 correct; Lindsey 5 correct; Jonathan 4 correct, 1 incorrect. Stats after 30 clues: Karen 10 correct; Lindsey 9 correct, 1 incorrect; Jonathan 8 correct, 1 incorrect. Thank you to Mark Barrett for providing me with a full chart of this game. 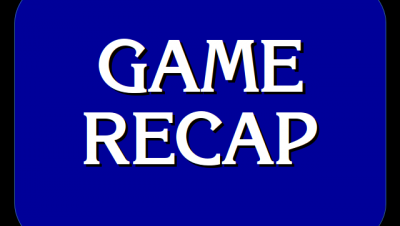 6 Comments on "Today’s Final Jeopardy – March 20, 2019"
Another 4 day champion bites the dust on the 5th game…Lindsey was quite a good player though. 2/5 in FJ, in game 2 she got FJ wrong as well but won because it was a runaway. I sent comment on wrong answer about 5 minutes ago. Alex even said MILKwas shot at 6:30a.m not 4 am. U2 doesn’t state time. Only Early morning. April 4. There is no universe where 6:00 PM is “early morning”. 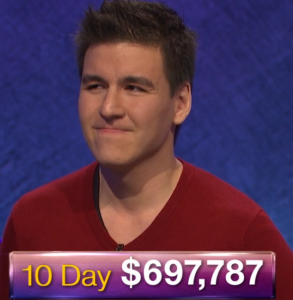 You contacted me last year asking about my Anthropocene fiction class at my college and so now I am contacting you to make sure you know that your term, ”cli-fi,” was a Jeopardy question on March 20. Actually, they gave the question away when they asked ”what does cli-fi refer to?” and I believe they referenced Kim Stanley Robinson’s work. 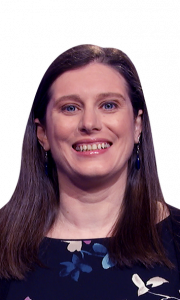 See if you can find the video link on Youtube or the Jeopardy Facebook page, they archive every show immediately upon airing them. 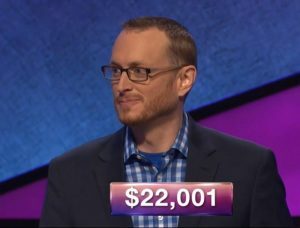 In this March 20 episode, the clue occurred about 3/4 the way into the show, and it was the show where Jonathan Lindeen won. Dan: You’ll need to contact the show via its official channels; I am unable to provide a video for reasons of copyright.